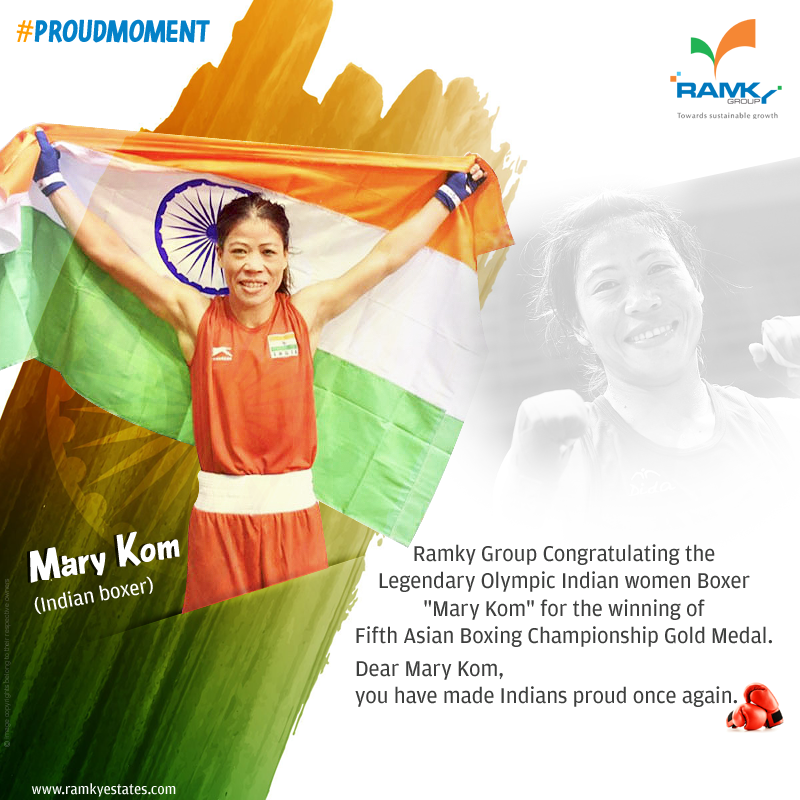 Ramky estates & farms ltd..: #ProudMoment #RamkyGroup Congratulating the Legendary Olympic Indian Women Boxer "Mary Kom" for the winning of fifth Asian Boxing Championship Gold Medal. Dear Mary Kom, you have made Indians proud once again. #ProudMoment #RamkyGroup Congratulating the Legendary Olympic Indian Women Boxer "Mary Kom" for the winning of fifth Asian Boxing Championship Gold Medal. Dear Mary Kom, you have made Indians proud once again.